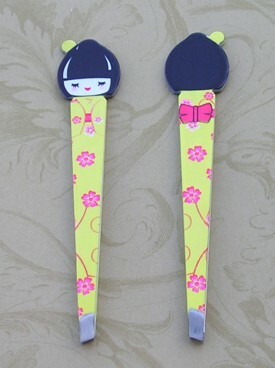 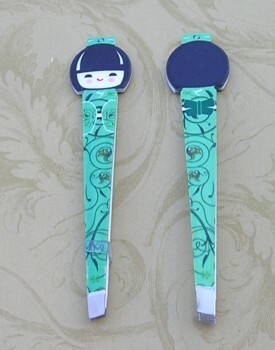 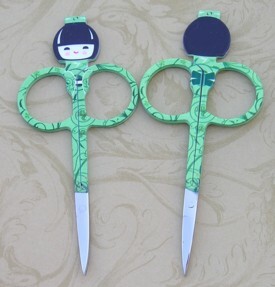 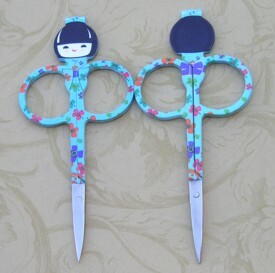 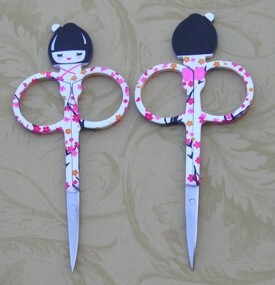 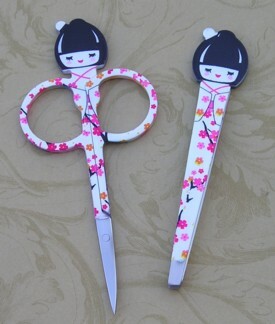 1 pairs of scissors and 1 tweezers. 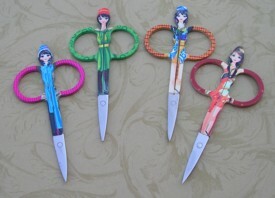 4 scissors in Special Collection A. 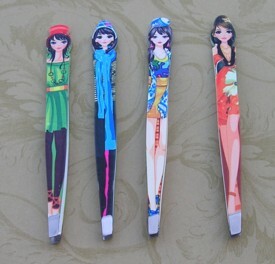 4 tweezwers in Special Collection A. 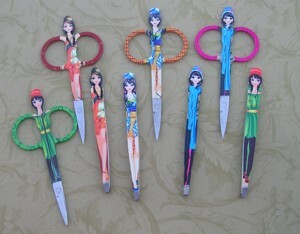 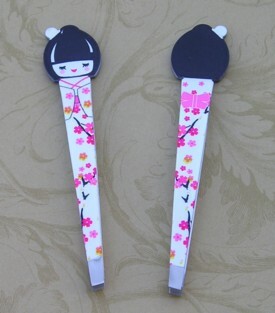 4 pairs of scissors and 4 tweezers in Special Collection A. 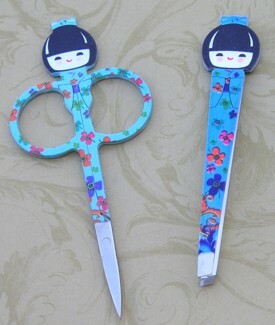 1 pair of scissors and 1 tweezer. 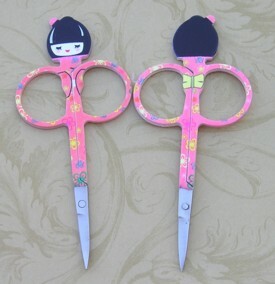 1 pairs of scissors and 1 tweezer. 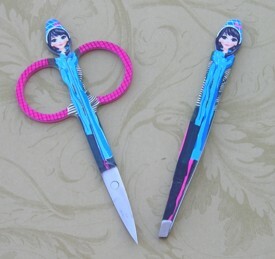 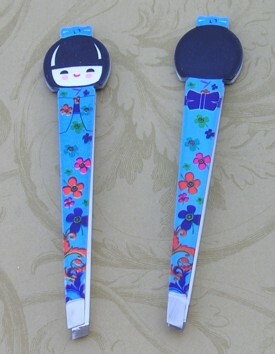 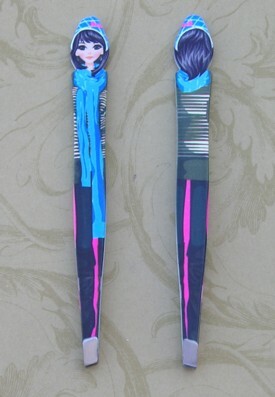 The tweezer is darker blue and the scissors is lighter blue. 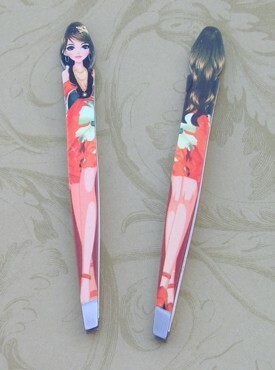 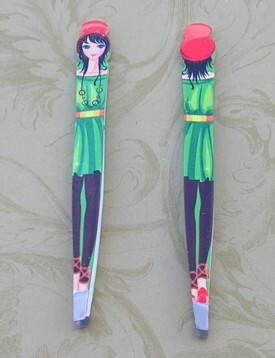 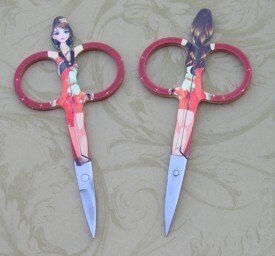 1 pairs of scissors and 1 tweezer.The scissors is "salmon" color and the tweezer is "red" color. 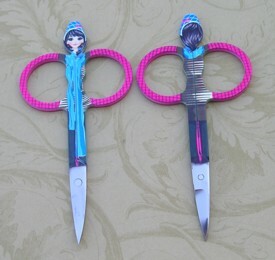 1 pairs of scissors and 1 tweezer. 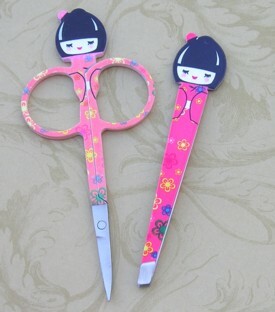 1 pair of scissors and 1 tweezers. 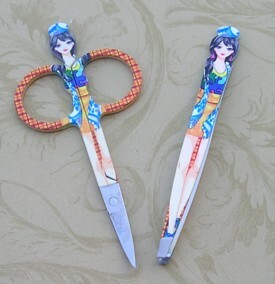 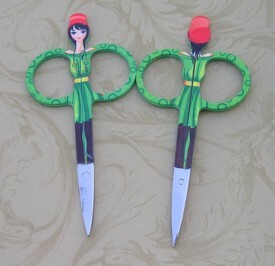 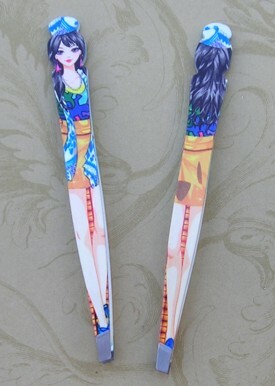 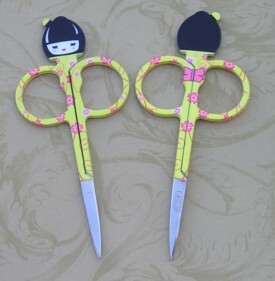 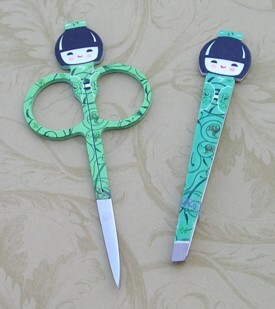 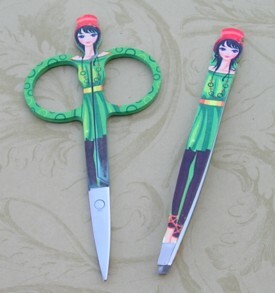 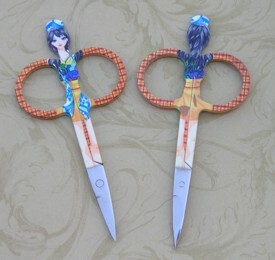 8 scissors in Special Collection B. 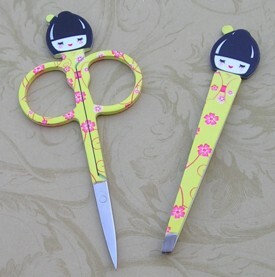 Special Sale price. 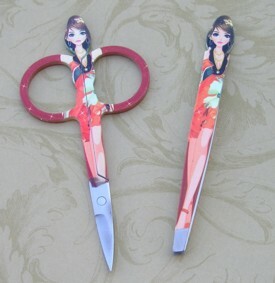 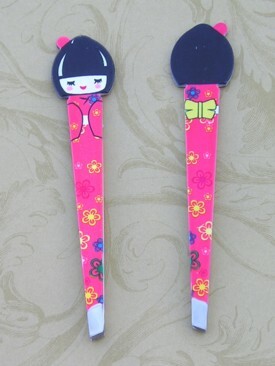 3 scissors in Special E collection.